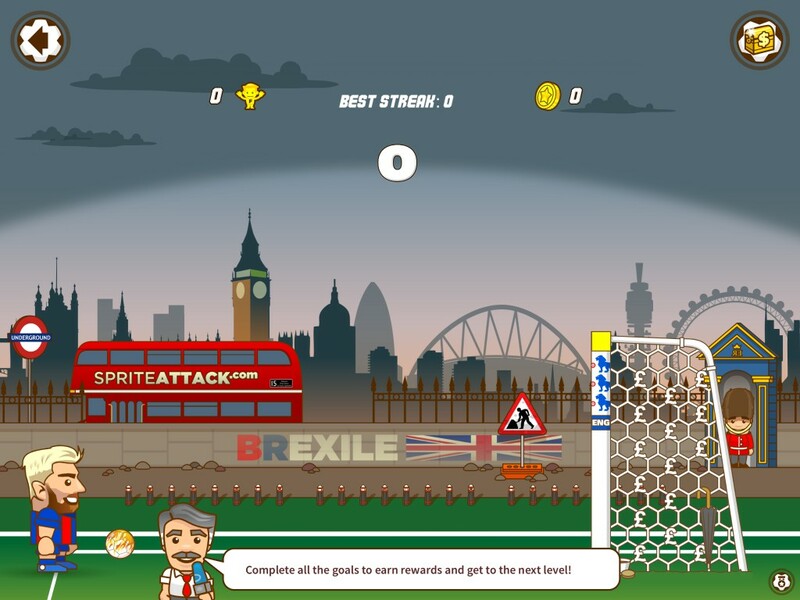 Super Crossbar Challenge, developed by ShatteredBox, is a new arcade sports game that is originated from a new popular challenge among footballers and fans alike. The idea is for you to hit the crossbar instead of putting the ball into the net. Why? Well, for starter, if you can consistently hit the crossbar, it shows that you are skillful and accurate! Moreover, there’s something satisfying about hitting the crossbar. You’ll find out when you hit it! Not the slightest idea yet what we are talking about? Watch Sergio Kun Aguero and David Villa duking it out on a Crossbar Challenge at the City Football Academy. Players are to swipe right to shoot the ball. Keep in mind the angle and power that you are swiping because it will determine the direction and speed that the ball will go. Once you find the sweet spot, remember it! You may also perform bicycle kicks and volleys to earn more coins and fans. 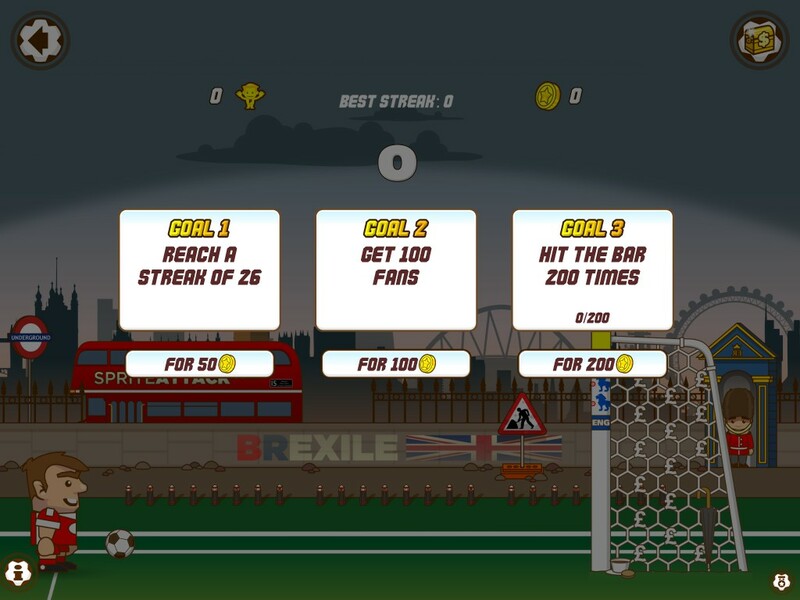 In the arcade mode, some of the goals will require players to perform multiple bicycle and volley to hit the crossbar. Use the hard earned coins to unlock new characters and balls, in which, some of them have their own bonuses that will help you in the game. 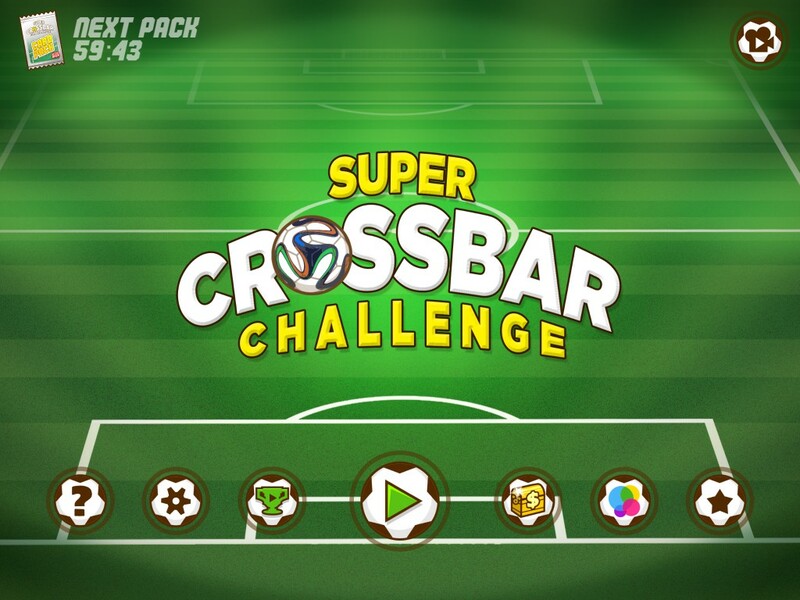 Are you ready to be the king of crossbar challenge? 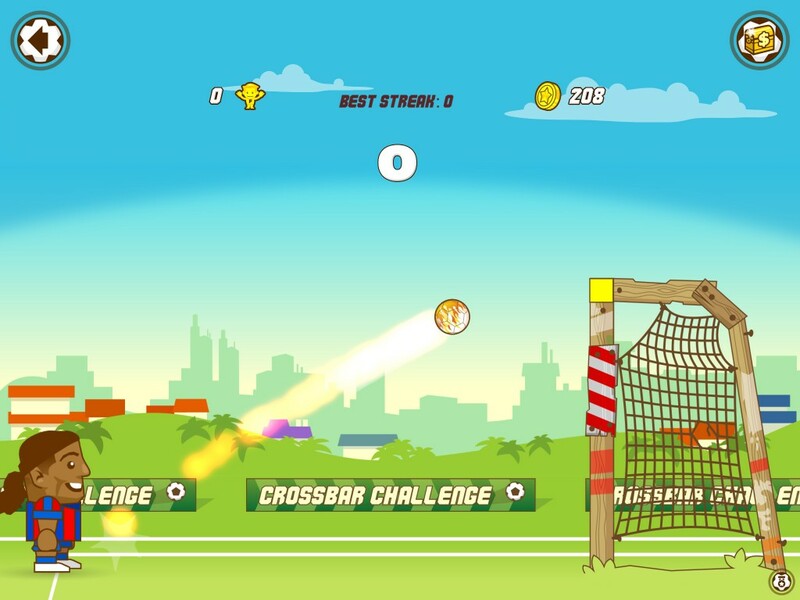 Look forward to the upcoming Super Crossbar Challenge game on the App Store! There’s not much to introduce about this kick. 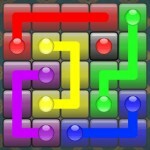 Swipe the screen during dead ball and you’ll perform a normal kick. Slightly trickier from normal kick. Here are step by step instruction on how to perform a bicycle kick. Based on players’ feedbacks, performing volley kicks is arguably one of the more difficult tricks to do. It is not you, it is us. We do intend to make volley kicks a bit more challenging to perform than bicycle kicks. However, if you follow these steps, it is not as difficult as it seems, though timing is key!